This post was updated on 25 March 2019 to reflect further information provided by Doncaster Children’s Services Trust and the DfE. 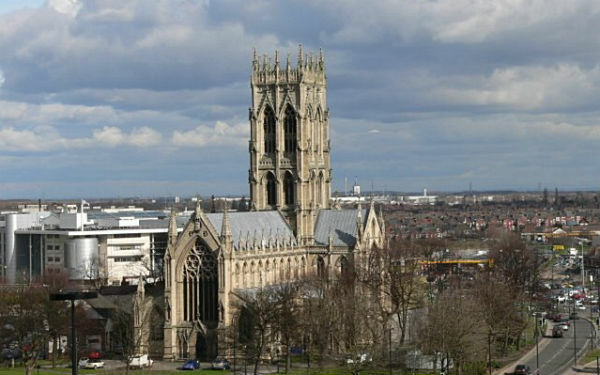 England’s first independent children’s services trust, set up when the government ordered services in Doncaster be removed from council control, is to be handed to council ownership after needing more than £6 million additional funding in 2018-19. The move, which the trust said was still subject to ratification by the education secretary Damian Hinds, follows a review carried out by the Department for Education (DfE) during 2018 into its governance arrangements, council documents said. Subsequent statements by the DfE and the trust said the decision had been taken by the council and trust with the government merely playing an advisory role. A DfE spokesperson added that the department intended to remove the statutory direction that saw the trust created following a “health check” later in 2019. From April 2019 the children’s services trust, which is currently the property of its members, is expected to become an arms-length management organisation (ALMO) wholly owned by Doncaster council. This will be for an initial five years, with the possibility of two further two-year extensions, according to a council report. A number of board members will leave as part of a restructure to facilitate the change. But both the council and the trust insisted there would be no change to day-to-day operations. Damian Allen, director of people at Doncaster council, said the new arrangements “do not change our responsibilities but will give us more oversight over budgets”. Doncaster Children’s Services Trust, which achieved a ‘good’ grade from Ofsted just over a year ago, has been one of the most successful examples of services being removed from council control. Some other areas that have implemented similar setups, notably Slough, have struggled to achieve consistent improvements to social work practice. But the financial sustainability of the trust, which had to renegotiate its contract with the council in 2016-17, has been an ongoing concern. The organisation’s most recent published accounts identified sustainability as a key risk factor, alongside its ability to reduce overheads and retain staff. Last year Doncaster council approved extra funding of £6 million to the children’s services trust, £4.1 million of which related to cost pressures from 2017-18. The council’s overview and scrutiny meeting in January heard that the complexity of cases being held by the trust’s looked-after children teams was exerting significant pressure on budgets. Despite the £6m bailout, a cabinet meeting in February heard that the trust was set to overspend by £600,000 for the financial year, in part because of several high-cost placements. A report to the meeting nonetheless said the risk of the council and children’s services trust failing to set realistic budget targets had been reduced. The planned ALMO setup is not a new concept. Many councils used ALMOs during the New Labour years to transfer their housing stock out of direct council control, while retaining ownership, in order to qualify for investment. Other arms-length children’s services trusts, including those in Birmingham and Sandwell, also already operate similar arrangements to the one Doncaster is switching to. Paul Moffat, the trust’s chief executive, said the new arrangements would “bring about a number of benefits for both organisations and will allow for reductions of certain overheads”. “For example, as an ALMO the trust may be able to use the council’s insurance providers, or at least their brokers, which it is hoped will bring about some financial saving,” Moffat added. He did not provide further details as to how savings would be achieved, given that the issues faced by the trust are common to children’s services departments across the country, many of which are overspending. Moffat said the changes to the trust’s governance were necessary to make the organisation compliant with so-called ‘Teckal exemption’ criteria, which relate to public authorities procuring directly from companies that they exert control over. Moffat said two non-executive directors from Doncaster council would remain with the trust’s board, along with the chair and chief executive. With the change in the children’s services trust’s governance not expected to have immediate HR implications either for social workers or other staff, unions gave backing to it moving closer to the council. “Our view on the outsourcing of children’s services has been unchanged since before the days of the trust coming into being,” said Jim Board, branch secretary for Doncaster Unison. Board acknowledged that the pressures faced by the trust were not unique but said its financial performance, which the council is ultimately liable for, had been a source of frustration for the authority. Paul O’Brien, branch secretary for Doncaster GMB, also said he saw the new arrangements as a “positive step”. Community Care has approached the DfE for comment. When the hard work and achievements of our staff were recognised in January 2018 with Ofsted rating all our services as ‘Good’, we had achieved the first milestone and contractual target set by the Secretary of State and Doncaster Council. Based on this success we started to consider what the next phase of the improvement journey should be and how we could further strengthen the partnership of the Trust and the Council. Quite rightly this included whether the Trust arrangements should match arrangements in other alternative providers set up after our Trust was established in 2014, the first of its kind. The decision to move to an Arms Length Management Organisation (ALMO) is one taken by the Trust and council together. As a key stakeholder, the Department for Education (DfE) have supported the process of developing a revised contract and governance arrangements. One of the primary drivers for the Trust becoming an ALMO is a technical one – the council want the Trust to continue to provide our services and in order to do so without the council having to conduct a procurement exercise once the direction is removed we need to be ‘Teckal compliant’ – for example an ALMO. Establishing an ALMO means the Trust can continue to be awarded contracts and deliver services on behalf of the council, something both parties were keen to ensure, resulting in being able to plan for the long term. The contract from 1 April is up to 9 years, longer than our current contract. As was noted in Wednesday’s article and like many other local authorities, increased demands for children’s social care services in Doncaster has in turn increased our financial pressures. These challenges have been raised up and down the country by local authorities, most notably in the recent ADCS ‘safeguarding pressures’ report. In the face of this demand, it is right that the Trust works with the council in providing oversight and scrutiny of how we seek to manage demand and associated budgets. Whilst working together on the new arrangements in Doncaster, we’ve been able to safely bring down the number of looked after children in Doncaster, which consequently has reduced our LAC costs in recent months, and we are forecasting lower overall demand in 2019/20. Whilst we like others, face these challenges, this wasn’t the main reason for the Trust to become an ALMO. With support from the Department for Education, Doncaster Council and the Trust have agreed that the ALMO model provides greater sustainability going forward and gives more opportunity to work closer in collaboration and achieve Team Doncaster’s shared ambition of being a Child Friendly Borough. Under these arrangements the Trust will remain a separate company with its own board, enabling the Trust to maintain its operational independence, enabling innovation and speed of decision making. Closer partnership working with the council will allow the Trust to unlock further opportunities to innovate, building on joint successes including Growing Futures, Pause, Mockingbird, EPIC and its home to support to care leavers learn the skills for independent living, all of which have contributed to savings exceeding £1m. With the Trust becoming an ALMO, the constitution of the Board has been changed to reflect this. We are grateful for the invaluable expertise of the national experts and partner agency representatives and their role as board members in supporting the Trust through its first phase. Now that the Trust is a key strategic partner within Team Doncaster, the board has been reconfigured to continue the focus on assisting the Trust in the next phase of delivering its ambition to ‘Outstanding’ services. I want to take this opportunity to thank those national experts and partner agency representatives who are leaving the Board, for their invaluable input and insight. We will continue to work together under the Team Doncaster Partnership. The two Non-Executive Directors from Doncaster Council will remain with the Board, as will the Chair and the Trust Chief Executive, providing the continuity as we move to these new arrangements. I would particularly like to thank those six members of our staff who since 2016 took on the role of Staff Director. Under the new governance arrangements these roles will become Staff Board Observers. Whilst the governance of the Trust board is changing, our commitment to providing excellent children’s services remains. Our committed and loyal workforce is now stronger than it has ever been in helping and supporting children, young people and families across the Doncaster Borough. Over the past four years, children and families have benefited from an increasingly stable workforce, including less reliance on interim practitioners and managers. Confidence in the Trust has seen many agency workers and managers commit to permanent contracts. None of the Trust’s achievements could have happened without our amazing workforce. We are fortunate to have such a great team. That team also includes our Young Advisors, who have been instrumental in our success story so far and they will continue to play an integral part in shaping our services going forward. After all, our young people are the ones who can best advise as to how we can make the changes, sometimes albeit appear to be small ones, that can have a big impact on their lives and the lives of other young people in care. On the first of April we will continue to do what we do is best; supporting our workforce to deliver excellent children’s services that focus on helping children and young people to stay safe, well and to achieve their full potential. These new arrangements will support our shared aspiration with the council and partners, to make Doncaster a great place to grow up, live and work in.